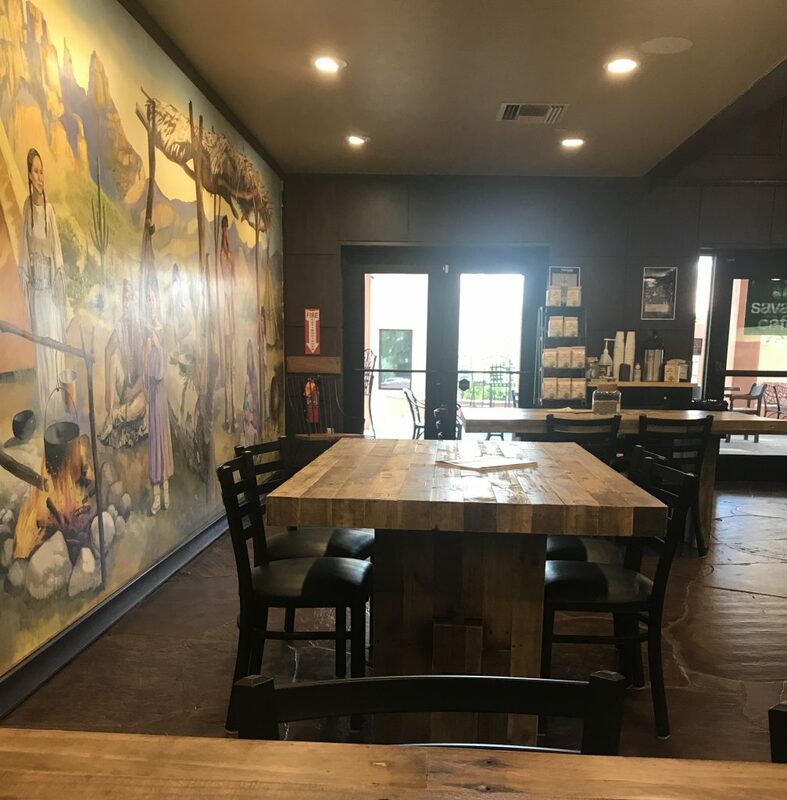 Looking for a great spot to have a business meeting and enjoy a quality cup of local coffee? Guest blogger Sarah Bohl breaks down the best spots in Tucson. Why me? 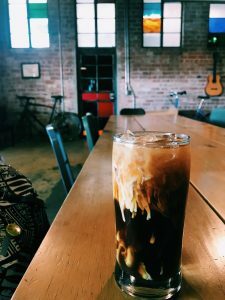 What do I know about Tucson coffee shops? I work out of coffee shops a lot. At least weekly, if not more. And I meet friends at coffee shops. I’ve had at least two job interviews there. Big things can happen (and small things, too) over a cup of coffee. And, a small confession: I cannot make coffee. I can’t make any kind. People buy me coffee makers, my wonderful brother bought me a cold brew coffee maker – but I just don’t have that skill. But I love coffee, therefore I spend a lot of time at places that DO know how to make coffee. And in the process, I’ve learned a few things. 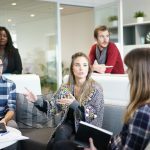 When I’m looking for a coffee shop to get some work done, the most important things I look for are internet service (am I going to be able to get my online work done? ), how good the coffee is, and how convenient it is to get to. Those things don’t necessarily apply when it’s a business meeting, so I’ll look at other factors (except for the quality of the coffee. I don’t skimp on that). There are also some things about coffee shops that won’t change no matter the location. They are not exactly known for their privacy, although some are worse than others. 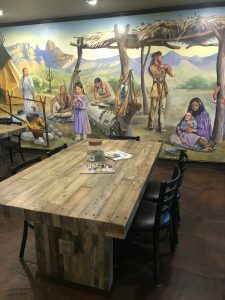 I used to know a guy that would take most of his first dates to a coffee shop that had the tables so close together, I don’t know how he could have a private conversation (that coffee shop will be kept as anonymous as the guy in this story, and is not one mentioned here). No, thank you. Also, coffee shops are mostly small. So if you have a meeting with more than 4 people, you might want to pick someplace other than a coffee shop. Rent a room from Connect Coworking. Or see if your library has a space available. Meet over a meal (but make sure everyone orders something). Skip to the bottom of this article for one other option for larger groups. 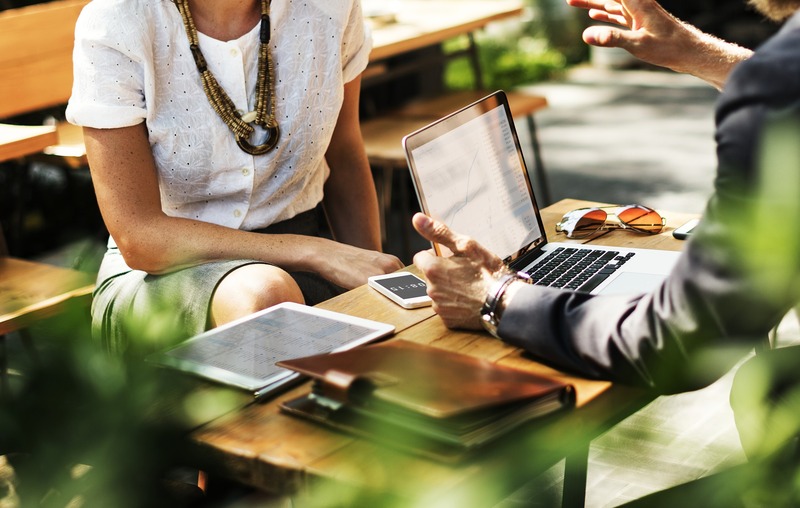 With all of those caveats out of the way, I’ll start to tell you some places that I would recommend that are a good place to meet a colleague or business associate for an informal business meeting. We’ll see if I can keep it to only five. Wish me luck. The first one is centrally located, their coffee is good (and bonus, their internet always seems to work). It’s a popular spot for students and those of us that just need to get out of the house and get some work done. PLUS, sometimes they have a harp player, which in my mind is instant stress relief. Oh, and they have a drive-thru if you just need a caffeine fix. 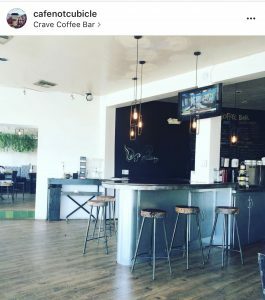 This spot is none other than Crave Coffee Bar on Broadway Blvd, between Swan and Columbus. One of my friends wrote most of her Ph.D. at Crave. The owners are friendly, they expanded recently so there’s plenty of seating, and although the view is mostly of the street, there’s natural light if you want it. Plus, you know, harp music. Keep in mind: Don’t sit too close to the harpist during your business meeting, it’s rude to shout over them. If Crave is a little too busy for your taste, I’m brewing up some other options…like Brewd – A Coffee Lounge. It’s right by Sabino Canyon, so it’s also a great place to stop by before or after a hike. 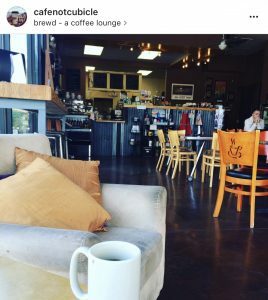 Brewd has indoor and outdoor seating, a beautiful view of the mountains, and a comfy couch. They also have macadamia nut milk as an option for coffee concoctions, and it is amazing. Brewd is cozy and comfy (which is why I like it), has great drinks, food options, and a great view of the mountains. Be sure to keep it in mind if you’re ever near Sabino Canyon. Keep in mind: Go early, they’re only open until 2! 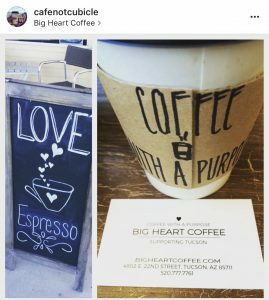 Moving on to a different part of town, at 22nd and Craycroft, there is a newer coffee shop called Big Heart Coffee. Maybe you’ve heard of it? All of their proceeds go to a different local charity each month, and their bar is made from an old bowling alley lane. They have lots of room, and even a meeting room in the back (you’d have to check with them about how to reserve it). There are booths and tables and a few old, comfortable chairs, so you have plenty of seating options. And every time I’ve been there, I’ve learned something new about coffee from their baristas. Bonus: they hand-draw a heart on the coffee sleeves. Keep in mind: Don’t plan on the big room on the back being available; contact them first to see if you can use it. And tip a lot! It’s for charity! The fourth option has several locations across town, so you have plenty of options. Purely because of location, this is usually my coffee shop of choice. 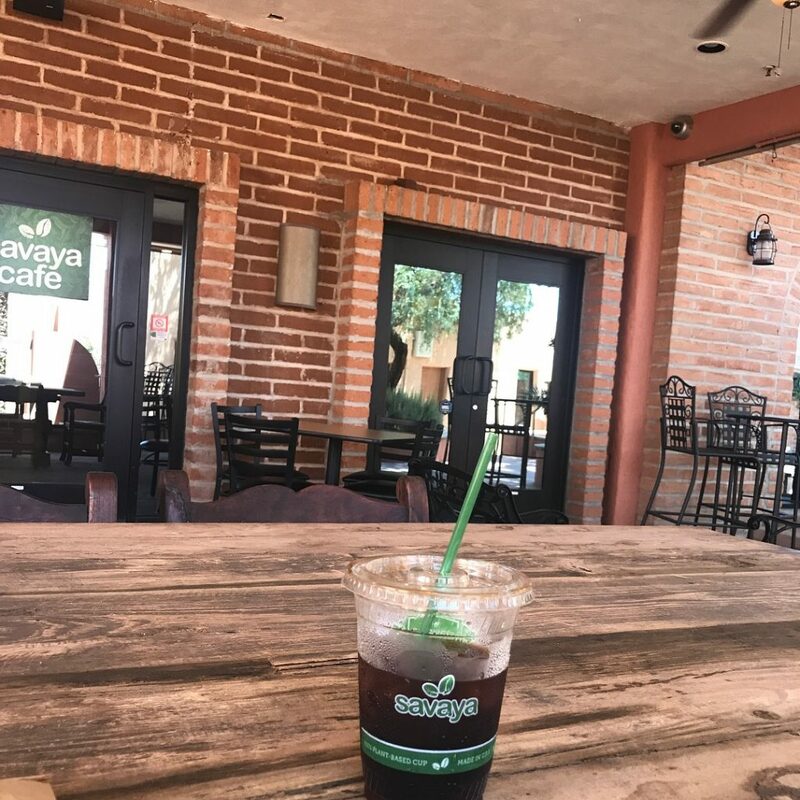 If you’ve ever picked up an Edible Baja Arizona magazine and looked at the back cover, you’ll have heard of them – Savaya Coffee. They also are rumored to be the only coffee shop in town that serves organic coffee, and they occasionally give free coffee tasting classes. I took one of the classes, where I mastered the art of slurping (I learned a few other things, too). Savaya has locations by Dove Mountain (off of Tangerine), near Steam Pump Ranch (hidden by some apartment complexes off of Oracle in Oro Valley), they have a smaller location at La Encantada (with minimal seating), their flagship location at Willams Centre, and finally their brand-new location near Fort Lowell and Swan, in an area called Synergy Plaza. 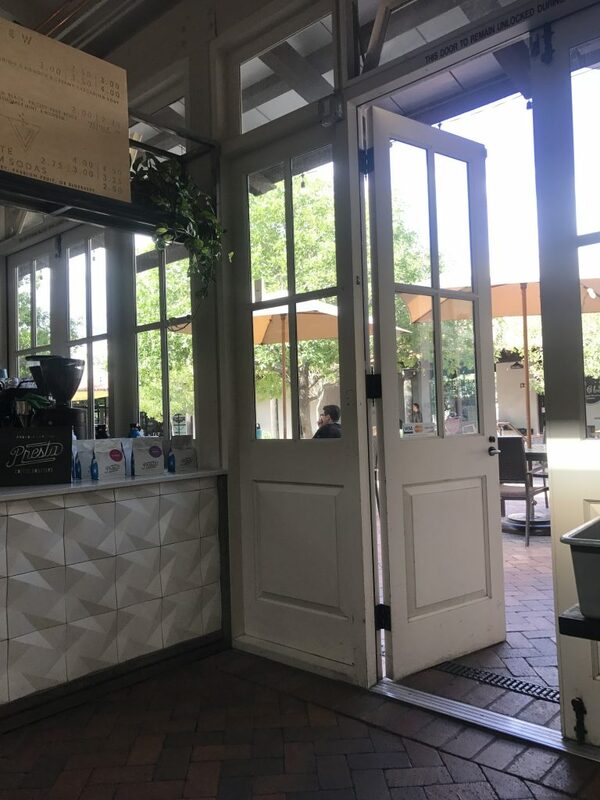 The latter location is the one I would recommend; it used to be a restaurant so there is plenty of seating indoors – and a beautiful, shaded patio outdoors. Try their “iced toddy,” which is a cold brew. I live off of the stuff. Also, each location has a different mural on their walls, so you get a bit of art with your drink! Keep in mind: This location is still pretty new, so if you’re meeting on a weekend you’ll have to choose one of their other stores. I only have one left and I don’t know what to choose! Cartel Coffee? 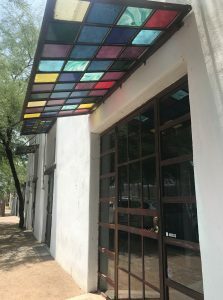 Tucson Coffee Roasters? One of the three Caffe Luce locations? All those are excellent and you should definitely try them out, but I’m going to say Presta Coffee Roasters at the Mercado. They have another location off of 1st Avenue near Grant, but it’s a little small for a meeting. The one at the Mercado San Agustin (it used to be Stella Java) has seating inside and out. Plus you can stay and enjoy tacos from Seis! Presta at the Mercado was just redone, and there’s a long bar to sit at, a few tables, or some table options in the courtyard. It’s a popular place (especially during lunch time), so be sure you get there early to stake out a spot. 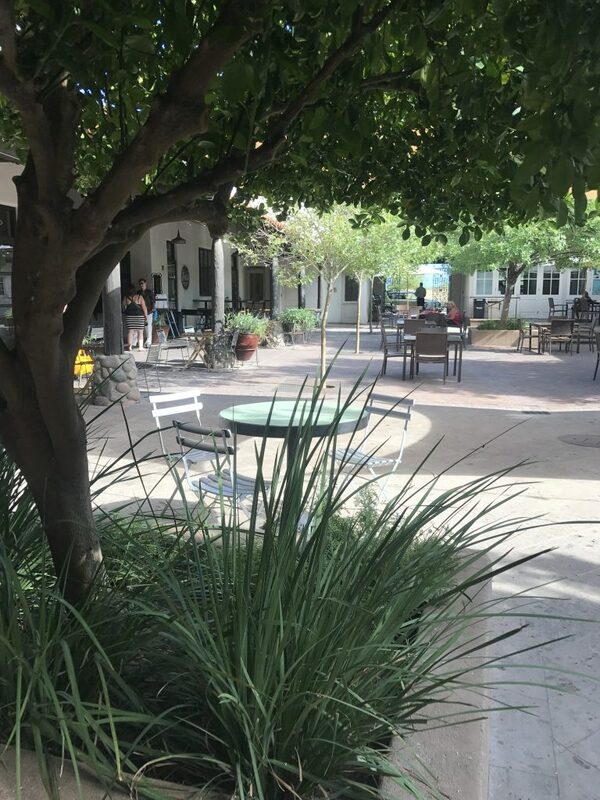 The coffee is amazing, the baristas are friendly (the baristas are friendly at all of these places, come to think of it), and when the weather is right in Tucson, you can’t beat being outside. Exo Roast Co. at 6th Ave. and 7th St. has a workspace in the back, called Southern Arizona Workspace. I haven’t quite figured out the “rules” there yet (is it okay to talk? Is this supposed to be a quiet space?) but it is quite roomy – a few long tables occupy the exposed brick room. Exo Roast frequently hosts events in that room, and every so often they host an “Analog Hour,” where any type of electronic device is frowned upon (laptop, phone, tablet), and instead reading, writing (with pen and paper), and creating is encouraged. 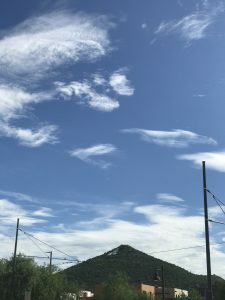 I went to an Analog Day there and typed on a typewriter (not the electric kind), learned some hand lettering skills, and had the opportunity to write love notes to Tucson. 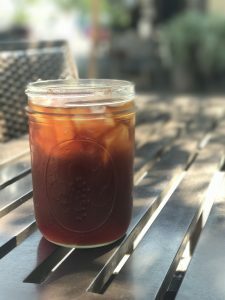 If you go: Exo Roast Co.
Keep in mind: They make their own mesquite cold brew, guys. Try it. Well, that’s it for me! 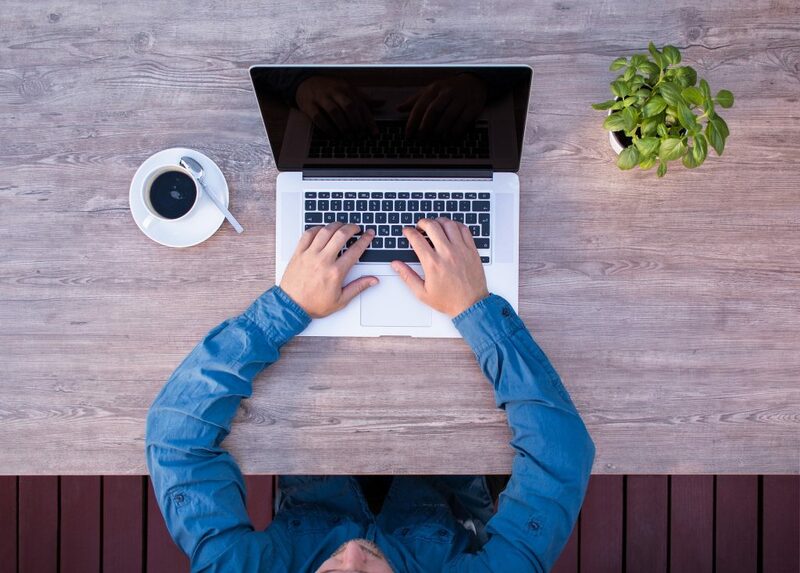 Where is your favorite coffee spot to have a meeting? Let me know in the comments! You have a good chance of running into me at any one of them! 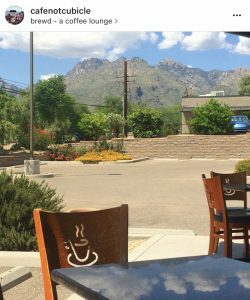 If you want to learn more about coffee shops in Tucson, follow me on Instagram at @cafenotcubicle. Sometimes I remember to post there. Have a great day – and always drink great coffee! 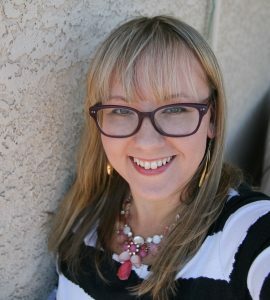 Sarah, a native of Wisconsin, moved to Tucson in 2011 because of a dairy allergy and an aversion to snow. (She really moved to be close to family). She spends copious amounts of time in Tucson’s local coffee shops, because if you can’t make coffee, you need to befriend people who can. By day, she works in social media and online marketing, and on evenings and weekends she enjoys finding local events, hiking when it’s cool enough, taking more photos than her phone can hold, and spending as much time as possible with friends. I consent to Sabre Networking collecting my details through this form.